White House National Security Advisor H.R. McMaster confirmed that the U.S. would, in theory, sit down with Russia to come to some compromise on operations in cyberspace, but not while ample evidence exists showing Moscow continues to perpetuate cyberattacks and meddle in global affairs and elections. 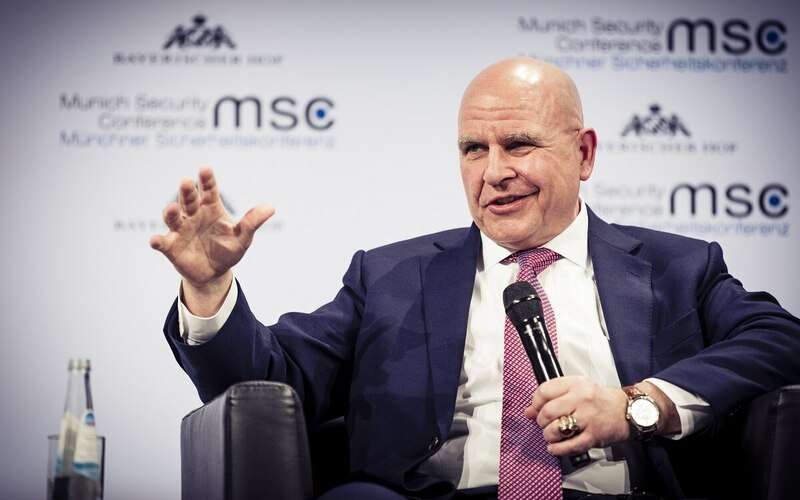 “We’d love to have a cyber dilague when Russia is sincere about curtailing its sophisticated form of espionage, enabled by modern technology,” McMaster said during a dialogue at the Munich Security Conference. Until Russia does change its ways, McMaster stated firmly that United States will “expose and act against” those that use cyberspace, social media, and other means to advance campaigns of disinformation, subversion and espionage. He also pointed to international cooperation, with nine NATO allies establishing the European Centre for Countering Hybrid Threats in April 2017. Special Counsel Robert Mueller indicted Friday 13 Russian nationals connected to Russia’s Internet Research Agency, who posed as Americans and spread disinformation online in an attempt to influence the 2016 election. And while the U.S. is notoriously bad at passing bipartisan legislation these days across, sanctions against Russia passed easily with a vote of 98 to 2, Mcmaster noted.